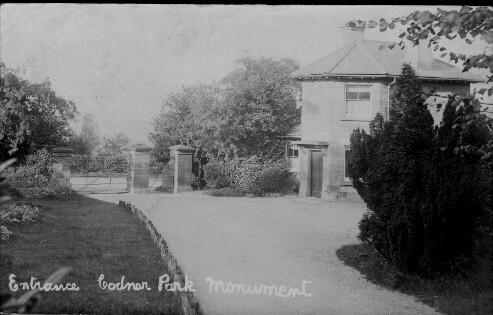 The Codnor Park monument (as it is known locally) was erected in 1854 to the memory of William Jessop Jnr. 1784-1852. He had been an active partner in the Butterley Company for many years. His father (also called William) was one of the founding members of the company. The monument was raised by Public subscription at a cost of £700 and Mr Francis Wright, of Osmaston Manor, laid the first stone on October 9th 1854. 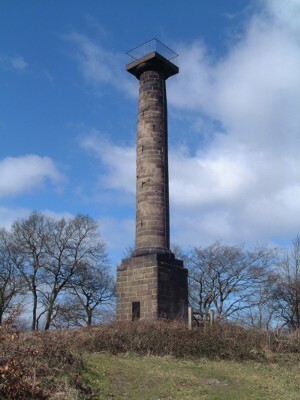 The monument is situated on high ground above Codnor Park & Ironville and is 70 feet high. It is constructed of Ashler grit stone and has a door in the South facing side of the square base, which leads directly onto a spiral staircase of 150 steps. 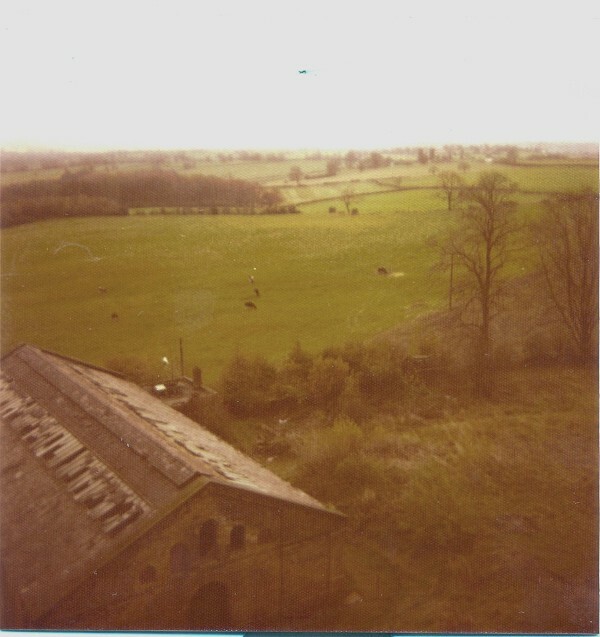 The viewing platform on top offered extensive views over the Erewash valley as well as both Butterley Iron works at Ripley and Codnor Park. 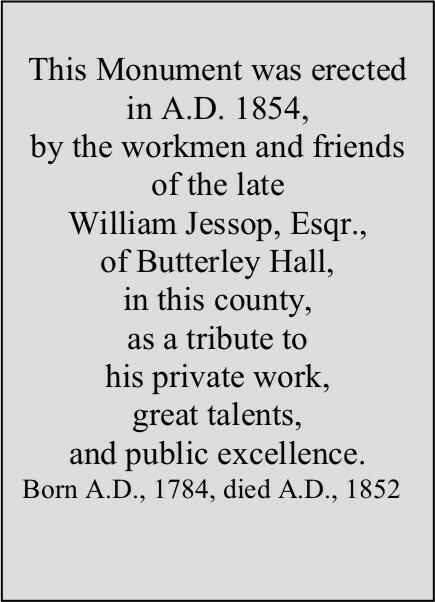 The Jessop Monument. 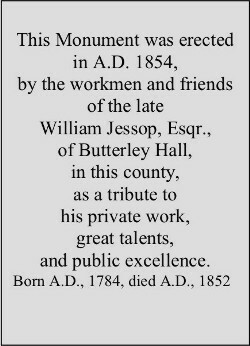 – It is proposed to erect a monument to the late Mr. William Jessop, the well-known iron-master, of the Erewash Valley. The Butterley Company have granted a piece of land: a design has been obtained (how we do not hear), and subscriptions are being solicited. If the rude lithograph in circulation shows the design determined on, the best we can give the committee is, that they may not succeed in getting money enough to execute it. It is a plain column full of loop holes, with a pedestal, capital, and termination, perfectly nondescript,- the whole 90 feet in height. It is a cross between a light-house and a factory chimney,- only worse. It is to be hoped that the committee will take proper advise before they waste the subscribers’ money.- The Builder. 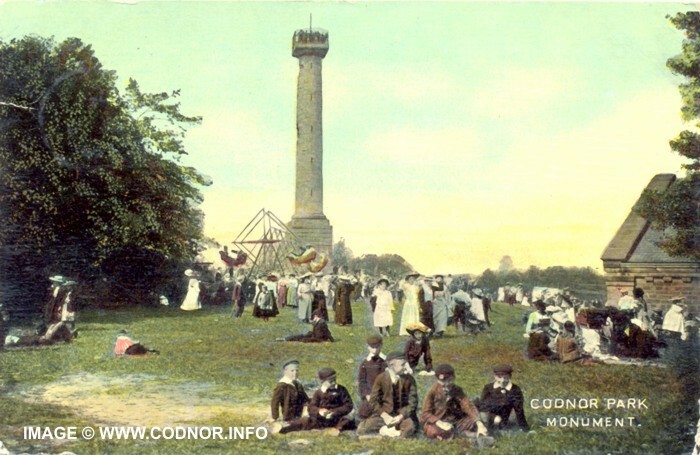 The monument & grounds proved to be a popular attraction for Gala's, and Sunday school outings. Whit Monday Band of Hope Fetes were also held there, with local Bands marching through the villages before finally ending up at the monument. 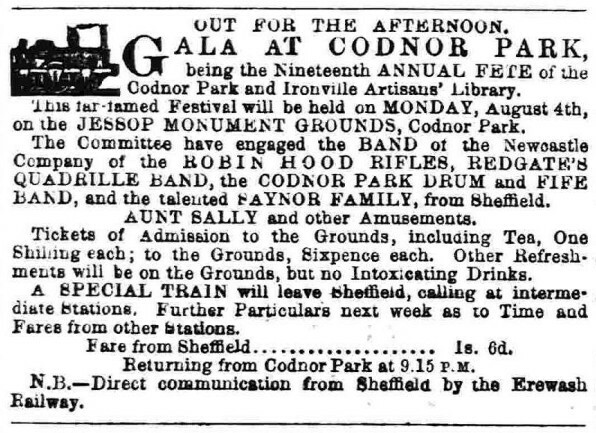 The following is from the Derby Mercury 1st August 1860 and gives a good insight into the sort of activities and entertainment that took place at the monument in its heyday. The seventh annual fete of the members of the Codnor Park and Ironvil1e Artizans and Mechanics Library, took place on Monday last in the recreation grounds at the Jessop Monument. The day upon the occasion was fortunately very fine, and afforded a favourable opportunity to the inhabitants of the district for enjoying themselves. The grounds where the fete was held are planted with trees and shrubs and are in admirable order, and we have no doubt will much improve in the lapse of two or three years, by which time the shrubs will have much increased in height. 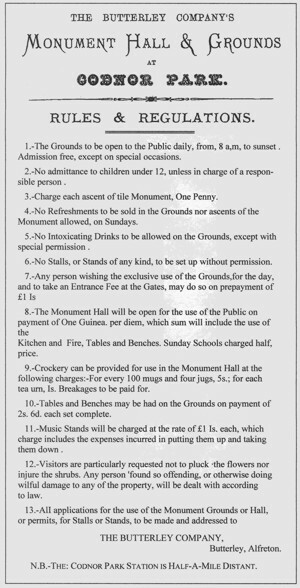 A charge of threepence was made for each person to ascend to the top of the monument. Many availed themselves of the opportunity of going up, and though the sky was hazy, still at times distant objects could be seen easily. At four o'clock tea was served up in a large tent supplied by Mr. Hobson, of Derby. Upwards of 800 sat down. 100 of whom were members of the 12th Derbyshire Volunteer Rifle Corps (the Butterley Company's Rifle Corps), who came in full dress, which for its neatness and elegance was generally admired. Tea was handsomely provided for the members by the committee as a testimonial to the efficiency of the corps. "Sardinian Schottische" "West End Polka" "Off to Charleston Quadrilles" "Snowdrop Schottische" "Queen's Varsoviana" "Traviata Quadrille" "Rifle Polka" "St. Petersburgh Quadrille" "My Daughter's Schottische" "Wedding Quadrille" "Fading Flower Schottische" "Naples Varsoviana" "First Kiss Polka"
The excellent brass band of the 12th Derbyshire Volunteer’s (the Butterley Company's Rifles). conducted by Mr. Woodcock, of Codnor Park, gave the following selection: "Death of Havelock" "Fill the shining goblet" "Gentle Annie" "General Jackson" "Rifle Galop" "Peak Waltzes" "Primrose Polk" "Rocks shall be rent" "St, James' Quadrilles" and a variety of others. 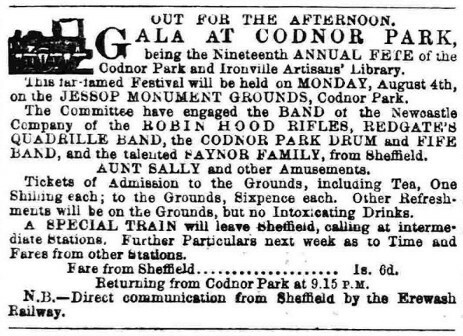 The Belper Brass Band, conducted by Mr. Wortley ably performed selections such as cavatinas, quadrilles, marches, waltzes, etc. The company of niggers created great amusement, and elicited outbursts of laughter. Of course dancing was entered into, and games of various kinds were participated in by great numbers such as tag swinging, etc. Flags waved from different points, while from the top of the monument proudly flated the Union Jack of England. as if in protection of those beneath. The day's proceedings were brought to a close by a grand display of fireworks by Mr. F. C. Copley, pyrotechnist, of Newhall Gardens, Sheffield. The display consisted of rockets, Bengal lights, rockets with stars, and snakes, green fire, concentrated wheel, horizontal wheel, Peruvian cross-piece with diamonds, etc. Crackers, shells, illuminations, circumfused wheel with suns of Palestine fire, etc. The fireworks, which were executed in excellent style, exhibited on the part of Mr. Copley much taste, and reflected great credit upon him. The people were greatly pleased with the display, and testified their' appreciation by numerous expressions of approval. The fireworks being over, the whole of the visitors moved off in one stream, and the place once more resumed its wonted appearance. 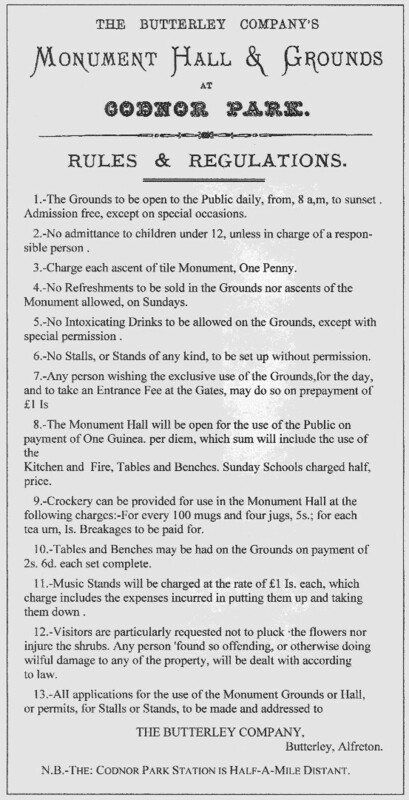 Fig.3 Butterley Company rules and regulations for the Monument & Grounds. The grounds were used by families for picnics and the monument hall in later years was used as a Rola rena. Fig.4 Sunday school Whit Sunday outing c1908. 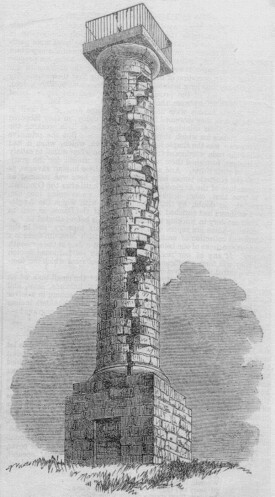 However on Monday Afternoon on the 8th July 1861 the monument was struck by lightning, splitting the tower from top to bottom and sending huge stones falling to the ground. 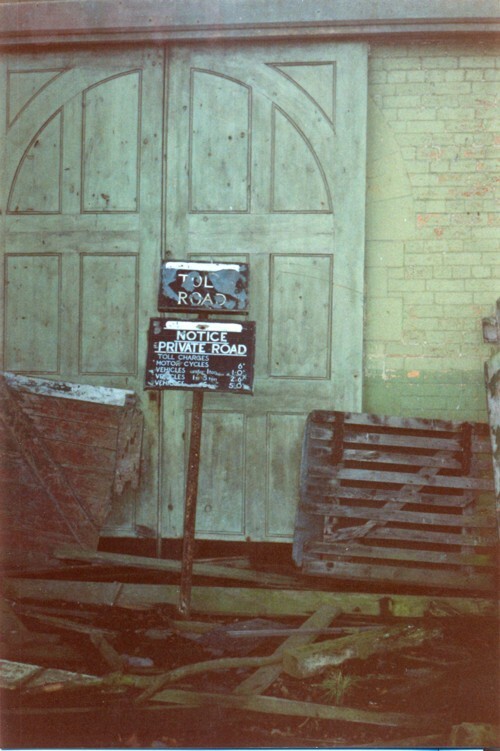 The inscription plaque on the North-facing wall was also smashed and is now lost. Fig.6 This is a copy of the wording that appeared on the subscription plate built into the base of the monument. The plate was dislodged during the lightning strike and for a while the pieces lay at the base of the monument. The Monument continued to be used for many years despite the condition it was in. Eventually it was considered too dangerous and the monument grounds were closed to the public. 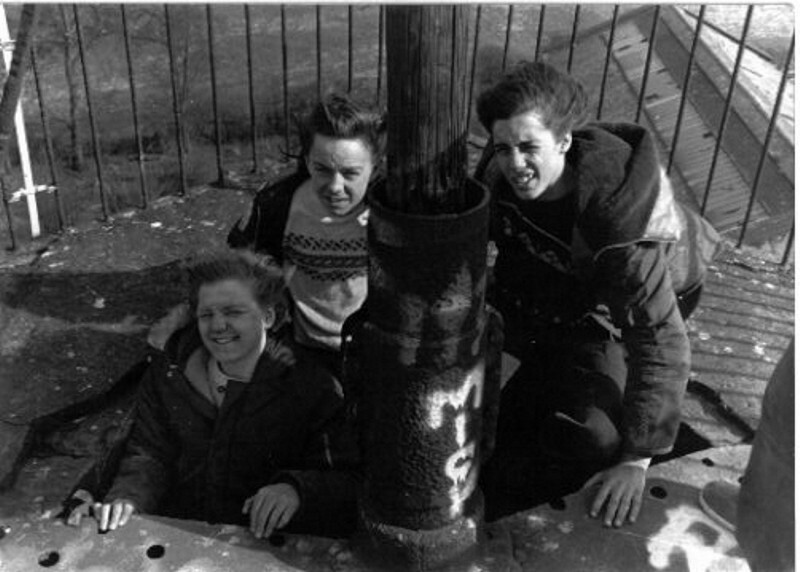 Fig.9 The viewing platform on top of the monument 1979. Left to Right: Ian Clark, Richard Bridges and Mark Oxley, Photograph taken by George Eyre. Fig.10 An aerial view showing the monument and dilapidated condition of the hall prior to restoration in 2007. 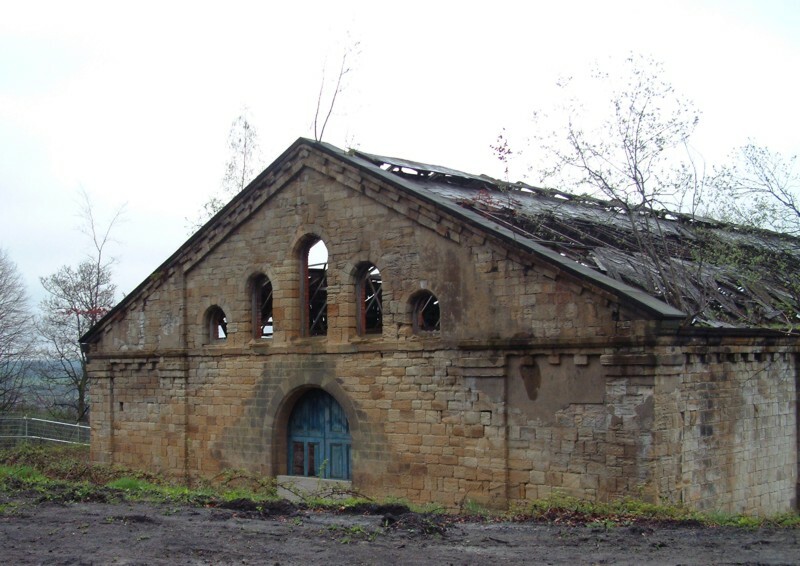 Fig.11 The Monument Hall prior to restoration work 2007 . Thanks to Jackie Maxted for this picture. 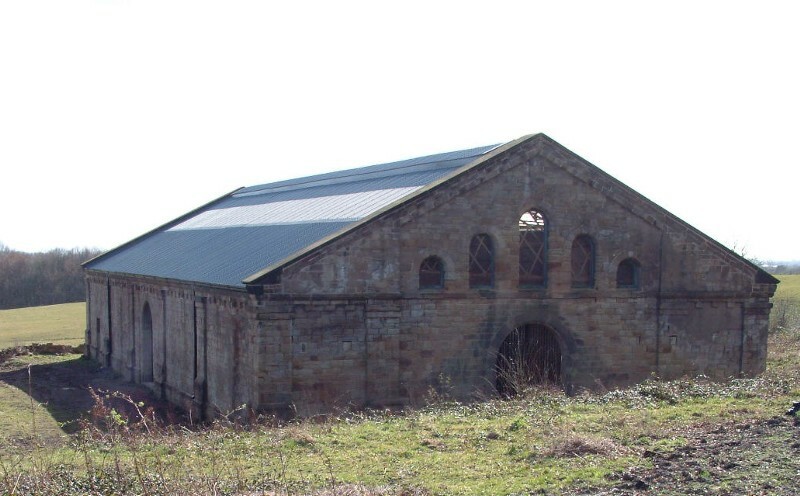 In 1998 RJB Mining, (UK COAL) was granted planning permission to extract coal from land close to the buildings. 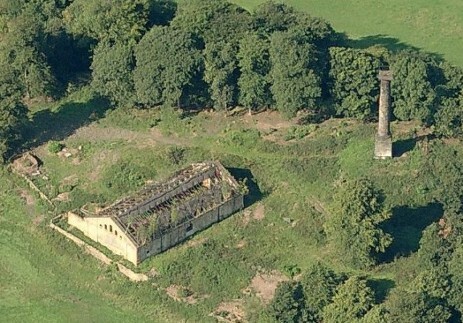 The planning permission was subject to a legally binding condition, known as a Section 106 Agreement, which required that once mining had ceased the company carry out repairs and long-term conservation of the castle, the stabilisation of the Jessop Monument and the restoration of the monument, hall and grounds. 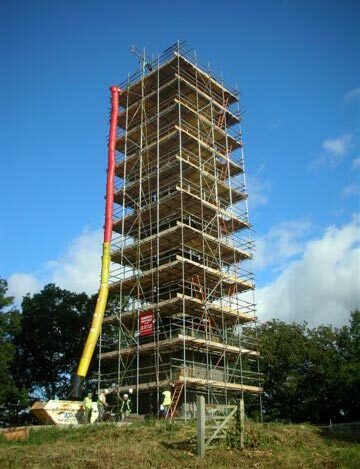 Fig.12 Jessop Monument during the restoration work in 2007.